You know what we say: why dance under a disco ball when you can become a disco ball, yourself? Did you know we say that? It's sort of our "thing." 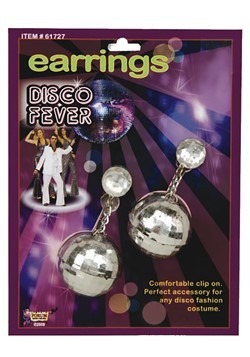 We love disco balls—our entire office is covered in them. We have an office turtle named Disco Ball. Our company softball team is the Disco Ball Club. And we frequently hit the lights off on Friday afternoon, turn on the spotlights, and have spontaneous disco dance parties. 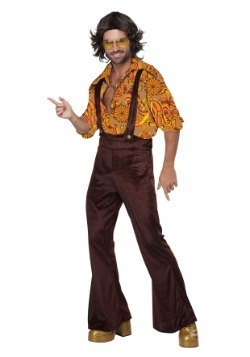 And hey, you seem like our kind of guy—fun-loving, smooth, and a fan of the 70s! 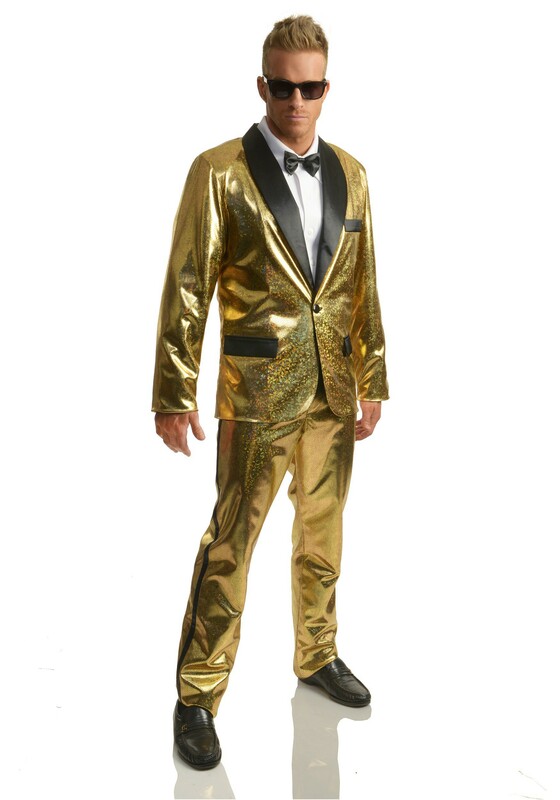 That's why we think—no, we know—that this Gold Disco Ball Men's Tuxedo Costume will speak to you, fellow lover of all things shiny and fun! 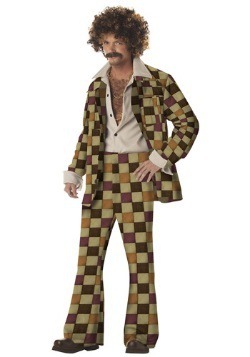 It's a wild look, no doubt, but your golden gleam will earn you an entrance at the party, along with the moniker, "Disco King," or "Golden Dude," or...something better than what we can come up with. This funky suit is crafted from metallic knit and satin, and looks totally shiny-chic! The golden jacket has a single front button and looks swanky over the matching pants with satin side stripes. It also has a shawl collar for that extra stylish detail. The shirt, tie, and glasses are sold separately, but we trust a hip gent like you to style your look to perfection. 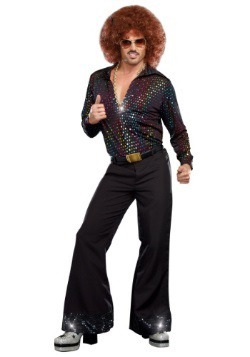 Hey, we've been meaning to ask you, would you like to join our competitive dance team, the Disco Divas? 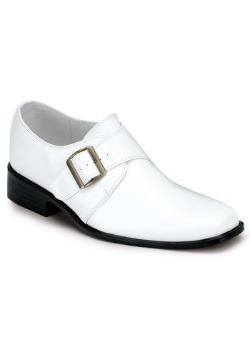 Now that you know what kind of dazzling style it out there, don't be caught out on the town in a dull look. 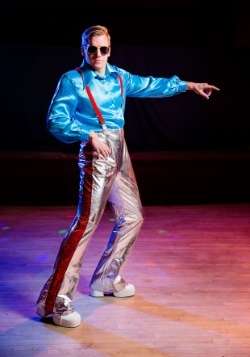 Most importantly, don't let other fellas outshine you on the dance floor—sharpen up your dance moves, slip into this swaggy suit, and we'll be waiting for you under the disco ball, buddy!